Dr. Rowley received his M.D. from one of the nation’s top ranked medical schools; University of Iowa. He is board certified by the American Board of Plastic Surgery, and also a member of the American Society of Plastic Surgeons. He has been practicing in Ahwatukee for the past 12 years, and has developed a reputation for excellence in plastic surgery. For the last several years, Dr. Rowley has been voted one of the top doctors in the valley by his peers in Phoenix Magazine. 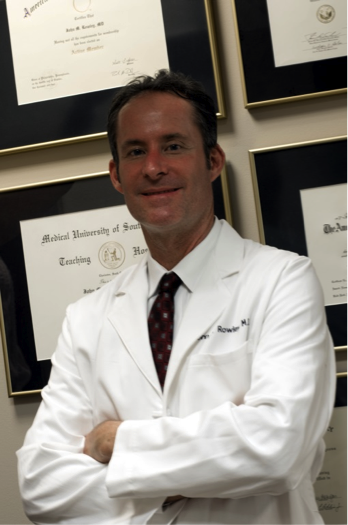 Dr. Rowley, his wife and two daughters reside in Ahwatukee, and he is a member of the Ahwatukee Chamber of Commerce.